Following on from recent blog entries where I encountered a very friendly male blackbird while out fishing, this time he got even closer. 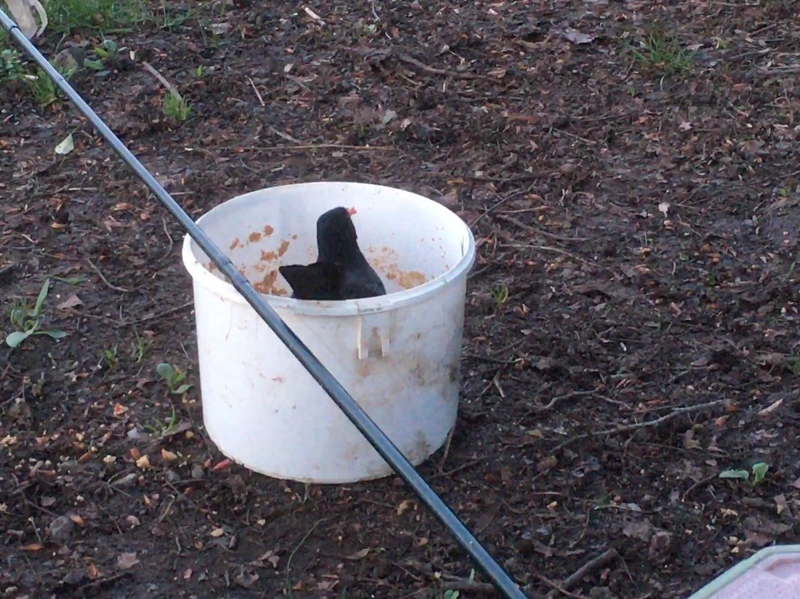 Spotting my groundbait bucket filled with maggots and crumb, he ended up jumping inside and helping himself. Watching him gather a dozen or more maggots and then flying off to feed his young was very satisfying. It’s also the closest I’ve ever come to a blackbird while fishing. Robins, yes, but never a blackbird. I saw my first swifts of the year on May 1, three birds feeding over a lake in Staffordshire. I haven’t seen any there since, as they were migrating birds, like the four I saw feeding near Oswestry in Shropshire two days later. They’re here now in numbers, of course, but the first swift of the year for me is always a highlight. Although the weather may not always agree, it means that spring really is here. We have a breeding colony in the area where I live and I saw the first swifts (2) on May 10. To emphasise the arrival of spring I came across a female mallard and 12 ducklings on the Staffs/Worcs Canal on May 1.